A variety show curated and hosted by ME with live soul music and stand-up comedy! Past guests include Jim Jefferies, Tiffany Haddish, Baron Vaughn, Jon Dore, Jerrod Carmichael, Beth Stelling, David Koechner, Zach Sherwin, and more! An Americana themed variety show featuring the best in live folk music, along with stand-up, storytelling, poetry, and more. A co-production with The Ash Grove Foundation. 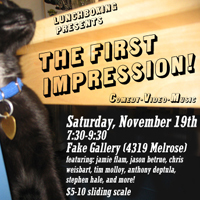 Past guests include Kevin Nealon, Aparna Nancherla, Judah Friedlander, Ron Funches, Josh Gondelman, Blind Boy Paxton, Sunny War, Eddie Pepitone, The California Feetwarmers, Frank Fairfield, and more! 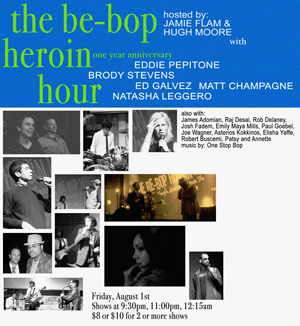 This was a weekly variety show at The Hollywood Improv produced and hosted by Jamie Flam and Vanessa Ragland, featuring a house soul/jazz band. Stay tuned, we still do these shows whenever we get the chance! Past guests include: arah Silverman, Aziz Ansari, TJ Miller, Craig Robinson, Tig Notaro, Kyle Dunnigan, Ian Edwards, Jon Dore, Kyle Kinane, Jake Weisman, Natasha Leggero, Zach Sherwin, Taylor Williamson, Ricky Carmona, Judah Friedlander, Harland Williams, Nick Kroll, Clownvis, The Sklar Brothers, Ron Funches, Jerrod Carmichael, Cole Stratton, Laura Kightlinger, Nick Thune, Jay Larson, Brendon Small, Karen Kilgariff, Jeff Ross, Tony Sam, Rob Delaney, Dan Mintz, Kumail Nanjiani, Morgan Murphy, Sky & Nancy Collins, Zach Sherwin, Greg Barris, Tom Papa, Greg Proops, Jimmy Pardo, Mary Lynn Rajskub, 5 Second Films, Women, TV Guide Letter Theater, Steve Agee, Andy Kindler, and Budd Friedman. 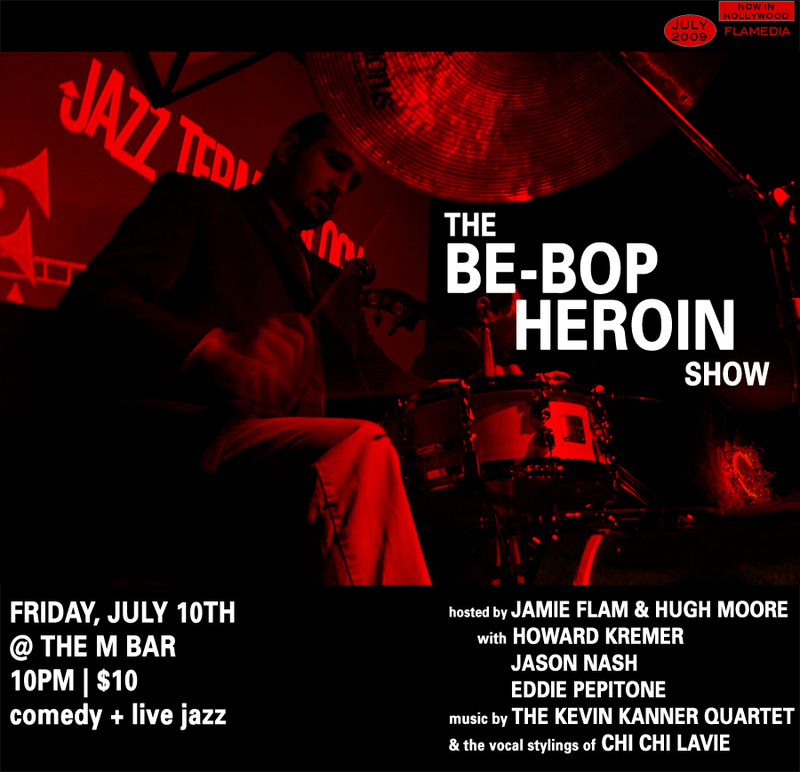 Live jazz meets stand-up comedy and storytelling, produced at Sassafras Saloon between 2012 and 2014 and at Bridgetown Comedy Festival. Past guest include: TJ Miller, Maria Bamford, Tig Notaro, Matt Braunger, Jacqueline Novak, Hannibal Burress, Jeff Ross, Harland Williams, Rory Scovel, Tom Papa, Cristela Alonzo, Jerrod Carmichael, Sklar Brothers, Tommy Johnagin, Jake Weisman, Beth Stelling, Steve Agee, Fahim Anwar, Ron Funches, Andrew Santino and The Spanglers. A tiki themed holiday variety show hosted by Jamie Flam and Tipper Newton Past guests include: Harland Williams, Ron Lynch, Jamie Lee, Tommy Johnagin, Clownvis, Ian Edwards, and Melissa Villasenor. A holiday fundraiser for No Kid Hungry. A fundraiser for The Leukemia & Lymphoma Society. 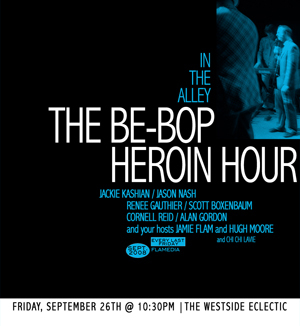 Hosted by Jamie Flam and Vanessa Ragland and featuring performance from Bob Odenkirk, Rob Delaney, Jerry Minor, The Walsh Brothers, Baron Vaughn, The Spanglers. A comedy duo, husband and wife team The Spanglers. Perform at shows and venues around Los Angeles including UCB, The Tomorrow Show, Hot Tub, and Super Serious Show, a former residency at The Improv Comedy Lab, and a showcase at The Comedy Central Stage. 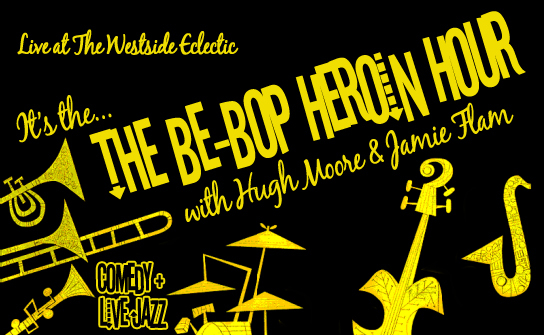 A live monthly comedy/variety show harkening back to the jazz clubs of the 1950′s/60′s. 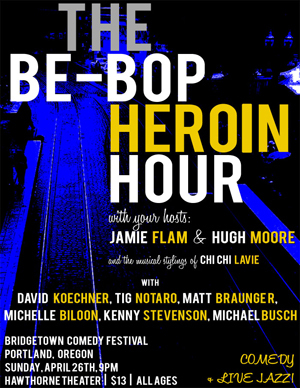 The show made multiple appearances at SF Sketchfest, Bridgetown Comedy Festival in Portland, and in New York City. Past performers include Tig Notaro, Anthony Jeselnik, Hugh Moore, Matt Braunger, Maria Bamford, Kumail Nanjiani, and more. A live monthly serial comedy about a mismatched travel writing duo that went to exotic locations based on audience vote. Locations included Tibet, Kuala Lumpur, Transylvania, and Panama! 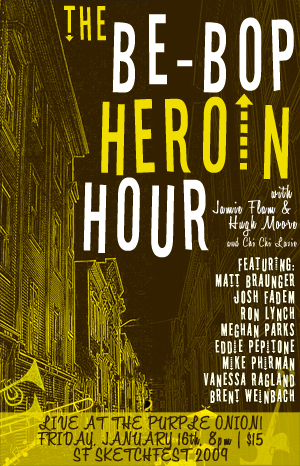 Featured guests included Brody Stevens, Kyle Kinane, Drew Droege, Charlyne Yi, Anthony Jeselnik, and more. A series of live multimedia comedy/music/art shows in San Francisco featuring fine artists, live bands and musicians, and sketch comedy.